Over seven days of polling between April 4 and May 10, five Indian states, together accounting for over a fifth of the membership of the two houses of parliament, had general elections to their legislative assemblies. The long drawn out process of balloting left everyone – candidate, voter and interested bystander – restless for final closure. And when the counting of votes started early on May 13, the results flooded in with the momentum of a fast-moving sporting encounter. Analysts did not have to spend too much time parsing the results that emerged for a dominant message. Quite simply, the implosion of the Left Front in West Bengal, a state considered its impregnable bastion, was so dramatic that it overshadowed every other message. For the left parties, there was little mitigation even in the near miracle of Kerala where they almost beat the iron law of incumbency disadvantage, operative for the last seven rounds of assembly elections. Though written off at various points during its 34 years of uninterrupted rule, the Left Front (LF) in West Bengal had managed to script one epic triumph after another. It managed a smooth transition from the leadership of Jyoti Basu, the patriarch who led it through nearly a quarter century, and won two consecutive state elections under his handpicked successor. But when things started falling apart, the disintegration was rapid and almost catastrophic. 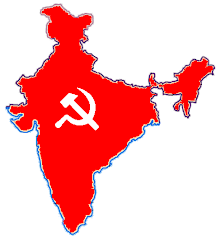 In the days of reflection that will inevitably come, the leadership of the Communist Party of India (Marxist), the leading party of the left, will wonder what went wrong. As a party, the CPI(M) has seen its fortunes plunge from stratospheric heights to virtual rockbottom in five years. In May 2006, the last time the same five states of the union went into general elections, the left won two of them. It had at the time, 58 seats in the Lok Sabha, the lower house of parliament. And the Congress-led coalition, the United Progress Alliance (UPA), which ruled at the centre, was crucially dependent on its support in every legislative and policy initiative. Today, the left has none of the major states under its control, since the north-eastern state of Tripura, which sends two members to the Lok Sabha, counts for little in national politics. Its strength in the Lok Sabha is down to 24 and the UPA has no need to seek its support in anything it undertakes. The LF built its base in West Bengal with its visionary reforms in the agrarian sector, of which the most important were connected with the land – the registration of unrecorded tenancies and the distribution of land held above a legally notified ceiling. Towards the last years of Basu’s stewardship of the LF, the stimulus was beginning to fade. Under acute threat, the left managed to consolidate its monopoly on power because of disunity and disarray in opposition ranks. The Congress then faced what seemed an existential threat from the BJP and tended to look on the left as a friendly opponent. And the most significant leader of the Congress in West Bengal, Mamata Banerjee, was so bitterly alienated by this ambivalence that she chose to break away and seek an alliance with the BJP, rather than be part of it. Coming to power just in time to capitalise on these multiple fissures in the opposition, Basu’s successor Buddhadeb Bhattacharya won a massive triumph in 2001 and followed up with an equally impressive victory five years later. He was not content with electoral trophies though and was restless for change, for diversifying the economy and setting it on a pathway to rapid industrialisation. In effecting the course change, the CPI(M) set its cadres to work in enforcing a policy of dispossession, or turning over large tracts of land in a densely populated state to business houses whose patronage the state government seemed rather too anxious to cultivate. Opposition ambivalence ended in 2008, when the left walked out of its alliance with the UPA at the centre, over an abstruse geopolitical issue that did not strike much of a chord with the majority of the electorate. The Congress now had an incentive to team up with Mamata Banerjee’s breakaway Trinamool Congress, which had in the years since separation, grown to be a far larger and better organised political force in West Bengal. The final defeat was foretold by the outcome of the 2009 Lok Sabha polls and successive rounds of local body elections. When the decisive moment arrived, the defeat proved more crushing than anything that even the most percipient had foreseen. The creditable performance in Kerala comes as small solace to the left. Led by V.S. Achutanandan, the sole survivor of the group that walked out of the National Council of the parent party to set up the CPI(M) in 1964, the left (which goes under the name of the Left Democratic Front in Kerala) was not given a ghost of a chance. The LDF was riven by deep factional animosities through its five years in authority, almost entirely originating within the CPI(M). But in the media spectacle that emerged, the underlying story was lost: that the LDF had provided a level of efficiency in administration that the state had not seen in years. And for this, the people of Kerala were inclined to credit Achutanandan’s leadership – which many among the newer generation thought rather hidebound and rigid, but was ultimately, about an unswerving sense of probity and political commitment. Again in a suggestion of its inability to feel the public pulse, the CPI(M) leadership first sought to isolate Achutanandan, before conceding him a ticket for reelection. The two main national parties, ironically, had rather modest stakes in these five states. The Congress had only an indirect stake in the two largest of the five: riding piggy-back as it were, on the fortunes of powerful regional parties in West Bengal and Tamil Nadu. It scored a win in one and went down to a humiliating defeat in the other. The Tamil Nadu verdict conforms to the pattern established since at least 1991, when the two main regional formations have alternated in power, each election bringing a decisive shift. The swing this time has perhaps been stronger than before, with a powerful new ingredient being added to the mix by the brazen nepotism in the family of the incumbent chief minister, M. Karunanidhi. Kalaignar, as he is known in tribute to his literary gifts, first took office as chief minister in 1969 and at 87 has quite possibly contested his last election. He has a legacy that will unfortunately now, be forgotten as the people of Tamil Nadu seek to grapple with his least welcome political bequest: a dysfunctional family, squabbling bitterly over the spoils of office. Expectations that the United Democratic Front (UDF) that the Congress leads in Kerala would win comfortably, were demolished and the Congress performance in terms of seats won has been decidedly worse than its main coalition partners’. The Muslim League and the Kerala Congress – both junior partners in the UDF – have scored a much greater success rate in seats contested and will almost certainly demand a commensurate share in the allocation of ministerial responsibilities. This does not suggest a smooth course ahead for the UDF ministry that will shortly be sworn in. It is only in Assam, where it won an unprecedented majority of over two-thirds of the seats at stake, that the Congress did itself some credit. Its main opponents, the BJP and the Asom Gano Parishad, were once allies in state politics, but this time managed to fight each other to a state of paralysis by their brazen over-use of the xenophobia card in a state where the issue of illegal migrants has always been politically touchy. The BJP which once showed the conceit of actually seeking to spread its roots into Tamil Nadu, Assam and West Bengal, contested several of the 800 odd seats that were at stake, allowing its ambition to overwhelm rational calculation. Nobody quite knows how many seats it contested, which is an eloquent comment on its ambition, rapidly evaporating, of being the sole and singular representative party of a true Indian sense of nationality. What is germane here, is that the number of seats the BJP has won will not touch the double-digit figure. The 2011 assembly elections underline further that the BJP will remain narrowly based in its geographical spread, since minority baiting, the key to its dominance in the few states it governs, is precisely what drives potential partners away in other parts of the country.